When I travel abroad, I almost always have a mental list of beauty bits I want to pick up as mementos of my trip. Drugstores and beauty stores in other countries are almost like an attraction for me. Some may find that quite odd but hey, to each their own. 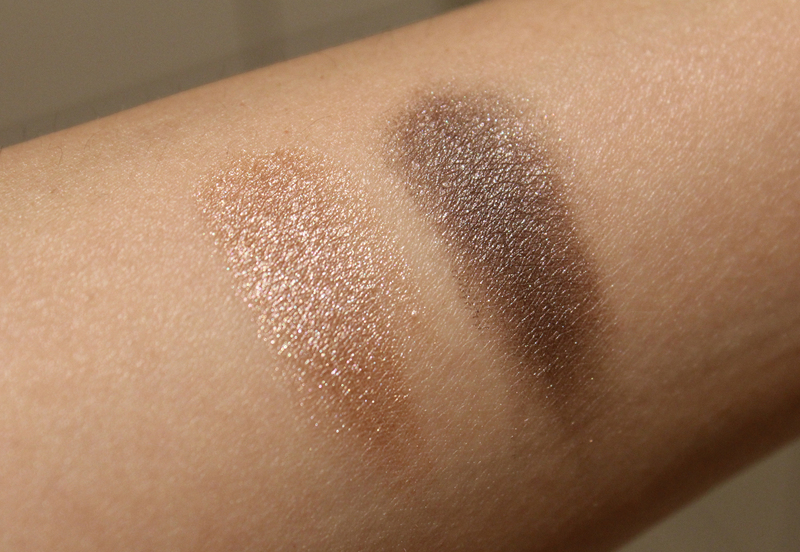 I knew I wanted to find the L'Oreal Color Riche Eyeshadows in Scandinavia since they don't sell them in the states. I've seen many British beauty bloggers and Youtubers rave about these so I was confident they would be good. The one thing holding me back? These retail for a whopping 99 SEK, about $12, each! The prices in Norway are even higher.... Alas, I justified the purchase of two of these singles since I knew I wouldn't be able to get them at home. I was immediately drawn to #200 Over the Taupe and #502 Quartz Fume. Over the Taupe is a metallic pink beige that looks amazing all over the eyelid. The texture of the shadow is like that of a press pigment. When you dip your brush into the pan, you will see flakes of shadow crumbling off so you have to be a bit careful to not get too much fallout. Quartz Fume is one of two Lumiere shadows and has an interesting 3D design. To be honest, Quartz Fume looks a lot nicer in the pan than it does on the skin. In the pan, it has a purple taupe sheen but on the skin, it looks like a shimmery gray. The texture is not as creamy as Over the Taupe which I hypothesize is due to the different design of the shadow itself. In the swatch above taken in natural lighting, Quartz Fume looks pretty disappointing as it lacks the purple sheen that I expected it to have. Where these shadows really shine is under artificial light. Quartz Fume looks markedly better under artificial light because the sparkles really show through. Over the Taupe looks simply marvelous on the skin. 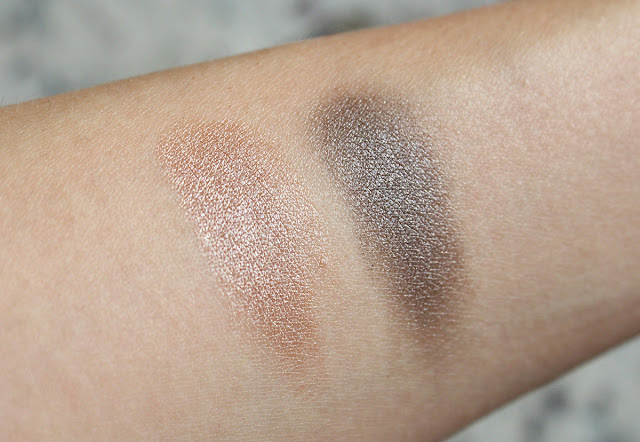 Both of the shadows look really great together with Over the Taupe on the lid, Quartz Fume on the outer corner and a matte shadow in the crease. Would you believe that these are the only beauty souvenirs I picked up in Sweden? Honestly, the high prices of Scandinavia was the main reason I didn't haul much of anything while I was there. 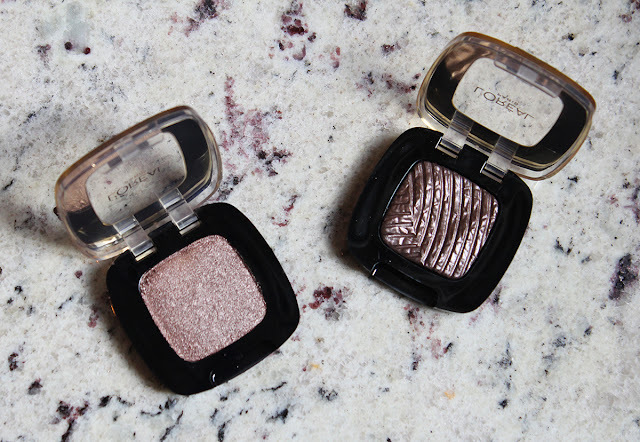 I'm very pleased with the L'Oreal Color Riche Single Eyeshadow in Over the Taupe while less so with Quartz Fume. I know I can still make it work over top of a cream eyeshadow so not all hope is lost! Definitely check out the regular L'Oreal singles if you're in Europe!